In the 3rd quarter of the hall, a staircase leads to where the Battle for Angelus Prime is located i.e. 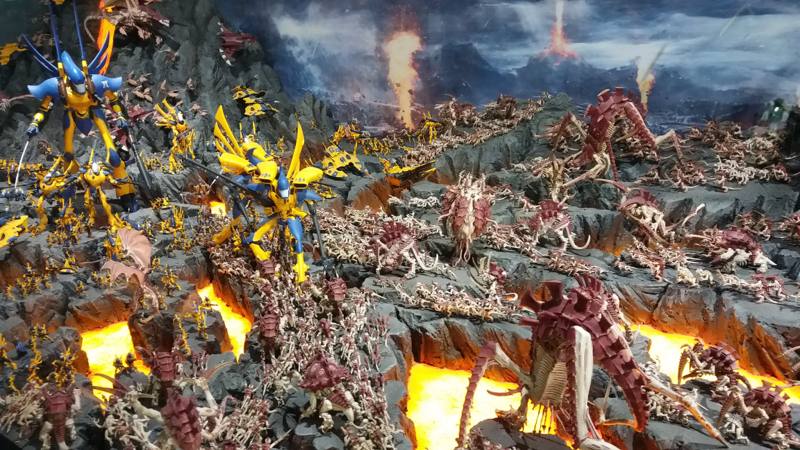 the biggest display diorama ever built. Inside this diorama hides an Imperial Assassin. If you are the first that day to find the Assassin, report to the GW store manager and they will give you a free Imperial Assassin >! Be wary though; this is not an easy task. Since this campaign started in 2016, only 60+ people have found it compared to the thousands of visitors (?) 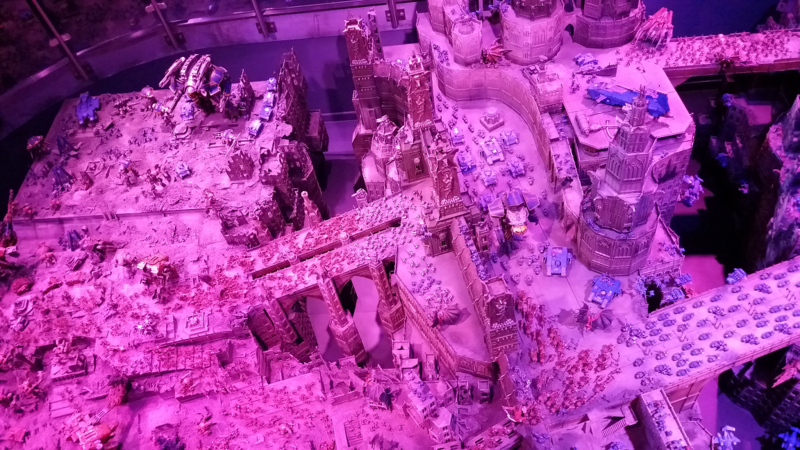 Warhammer World receives monthly. 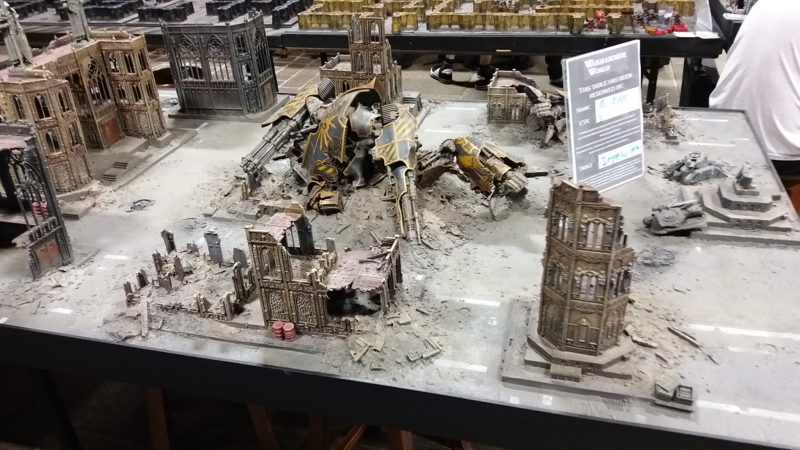 Many dioramas are breathtaking but a couple caught my eye located at the end of the Exhibition hall: Valedor (Eldar Craftworld Iyanden vs Tyranids Hive Fleet Kraken) and The Battle of Vesh’yo (Cult Mechanicus vs T’au). The Titan hanger bay was cool too. 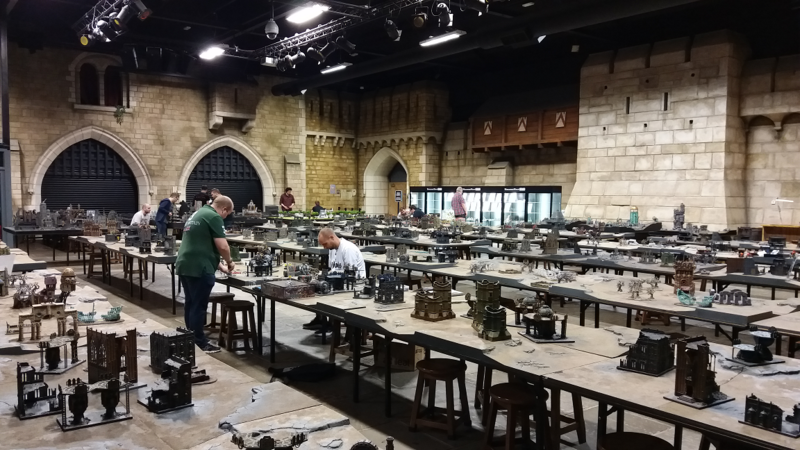 The Gaming Area at Warhammer World was impressive too. Tables after tables of gaming made me feel like I was at a convention. Consisting of Featured Tables and Standard Tables, I strongly recommend booking a slot for gaming even on off-peak days. Most of the Featured Tables I saw had names on them (i.e. booked). If you are wondering, yes, they all look as impressive as the photos you see on the website! 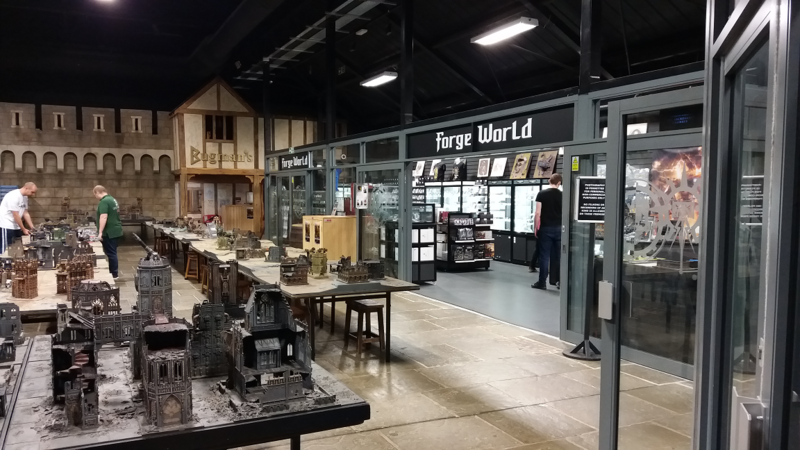 Occupying a corner in the Gaming Area beside the GW Store, Forge World was not as big as I thought it would be. Surprisingly, it was a challenging shopping experience as most if not all of the blisters have no product images on them; only names. A small display case showing some built products helped a little, but it was only a small portion of the whole Forgeworld range. I had to ask the Store Manager for help to find what I wanted. 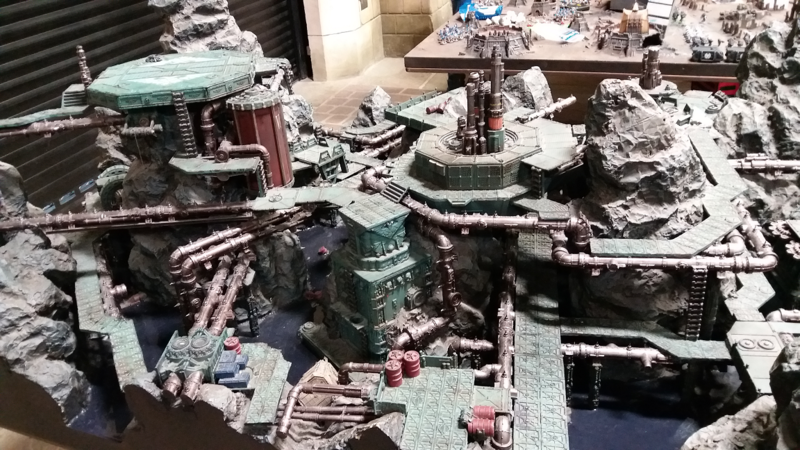 Before visiting Forgeworld, I strongly recommend having a written checklist of what you need. 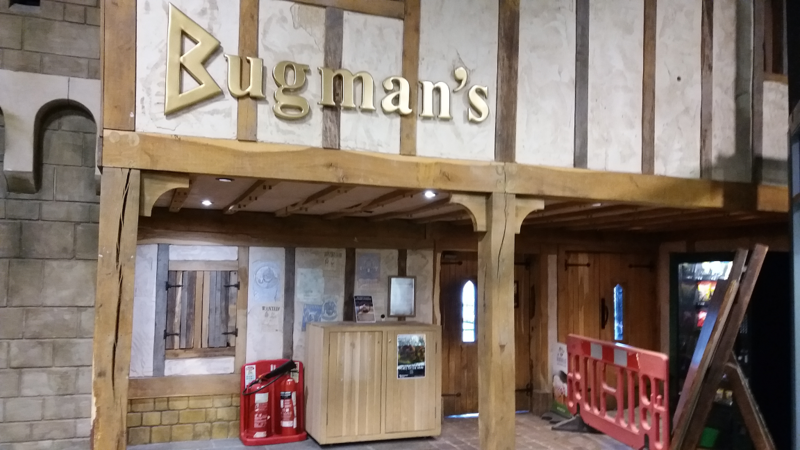 Bugman’s Bar is located at the far end of the Gaming Area beside Forgeworld and it was not an obvious find. Beyond the wooden doors, I stumbled upon a cosy environment with boardgames (non-GW ones!) to pick up and play as you snack on. Bugman’s Bar is indoors, hence a smoke-free environment. Food is non-vegan friendly though but a great place to hang out after a game for drinks nonetheless. 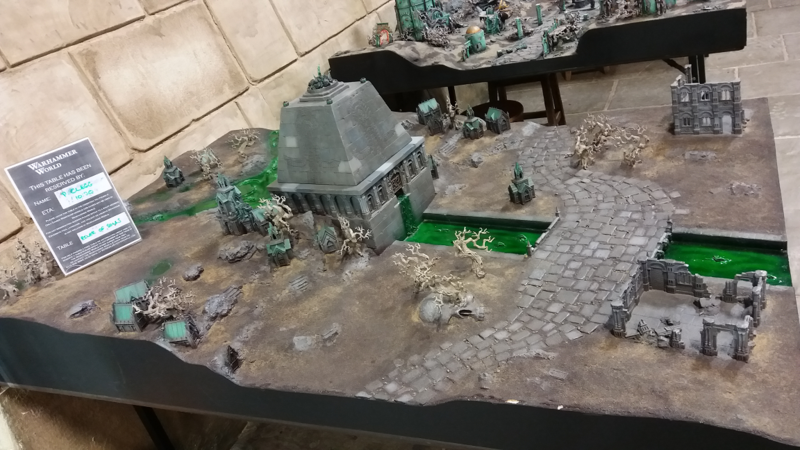 Overall, my Warhammer World experience was an exhilarating one! 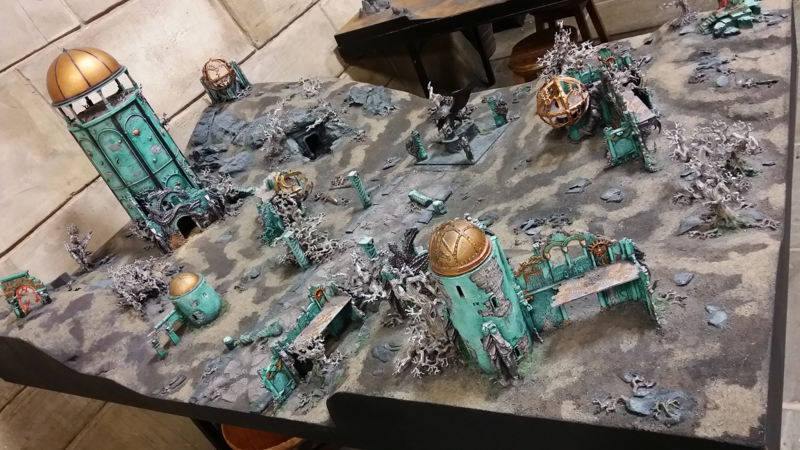 It is worth going back just for the GW Store alone. 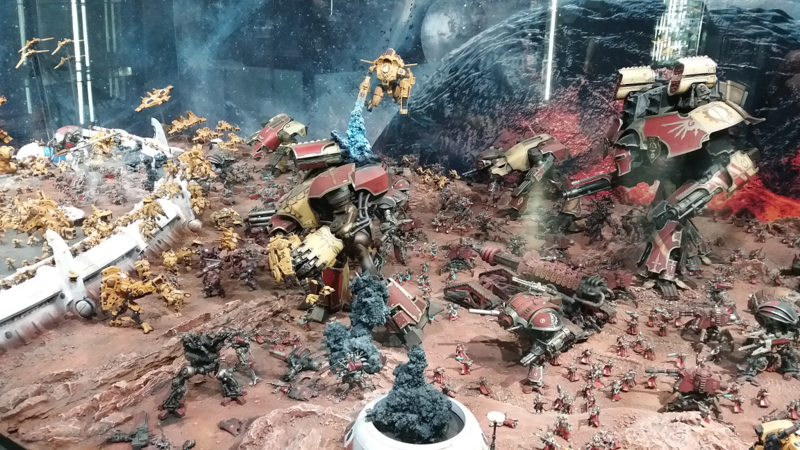 Based on trends I see in the Exhibition Hall, there should be a new Diorama Display every year or two. More reason to go back! 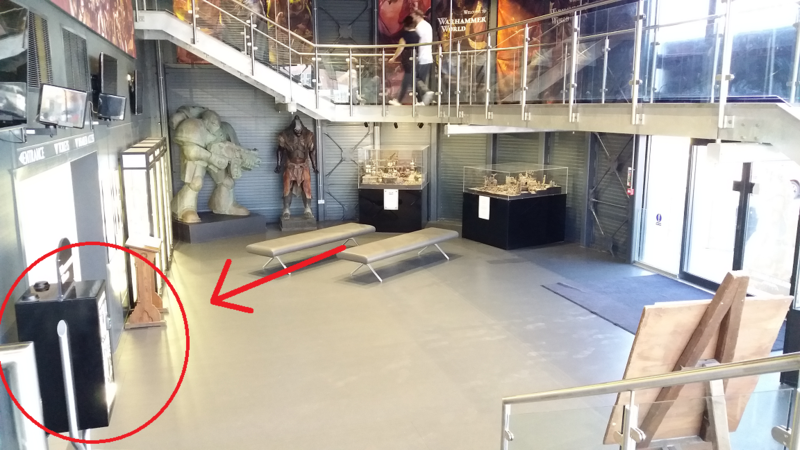 Tip: Don’t forget to buy the Warhammer World Exclusive Coin from the dispenser machine by the stairs on your way out! 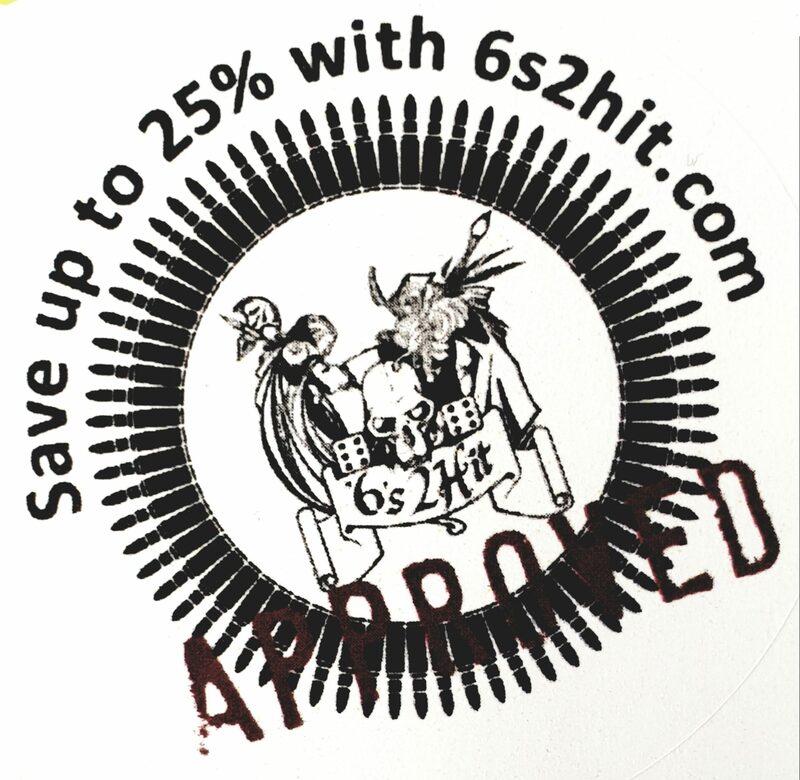 It only cost GBP £2 for a token of your Warhammer World experience. Many thanks to Alif for this awesome report and we hope to see many more in the future!